The product has six SMA connectors for the analog channels and seven SMA connectors for trigger, clock and auxiliary signals. 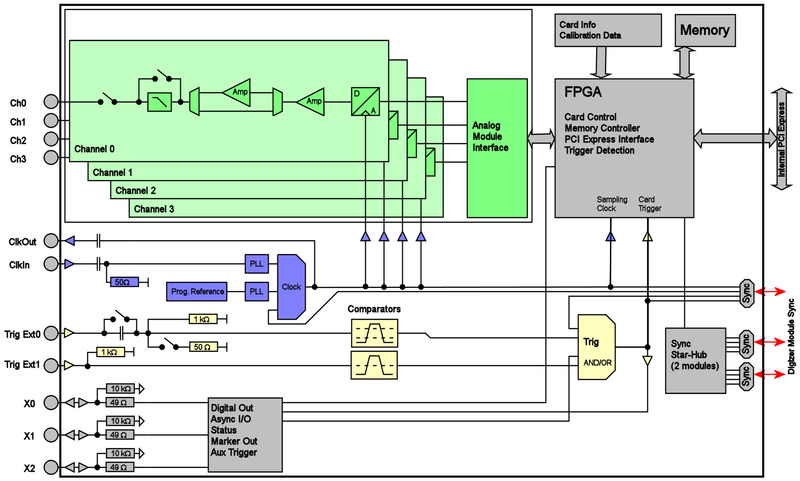 Clock and trigger connections can be switched between input and output by software. Power cords and Ethernet cables are also available.